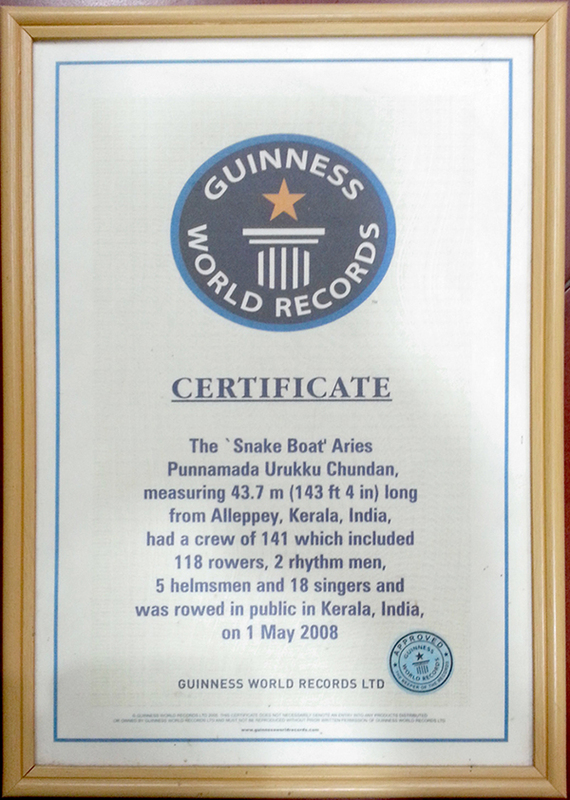 Aries Chundan, the first ever snake boat made of steel and a design wonder crafted by Aries Marine is entered into the Guinness Book of World Records. Breaking the existing record of 118 crew members, Aries Chundan has successfully completed the record attempt for the largest canoe crew with 141 crew members, including five helmsmen on board on 1 May 2008 at Alleppey backwaters in Kerala. 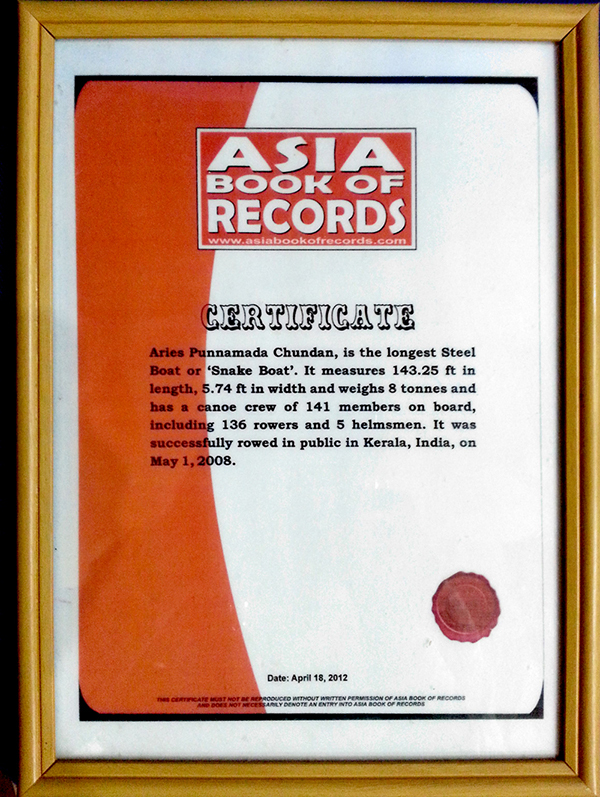 Aries Chundan is the longest steel made snake boat with 143 feet and a masterpiece design of Aries Marine. Several international dignitaries, including representatives of RINA, Italy and Germanischer Lloyd, Germany who listed Cochin for ShipTek 2008 have witnessed the rowing of Aries Chundan held at the Punnamada Lake. Members of Legislative Assembly, Mr. Thomas Chandy and Mr. K.K Shaju inaugurated the Guinness attempt of Aries Chundan. Mr. Sohan Roy S.K, CEO Aries Group was also present for the occasion. 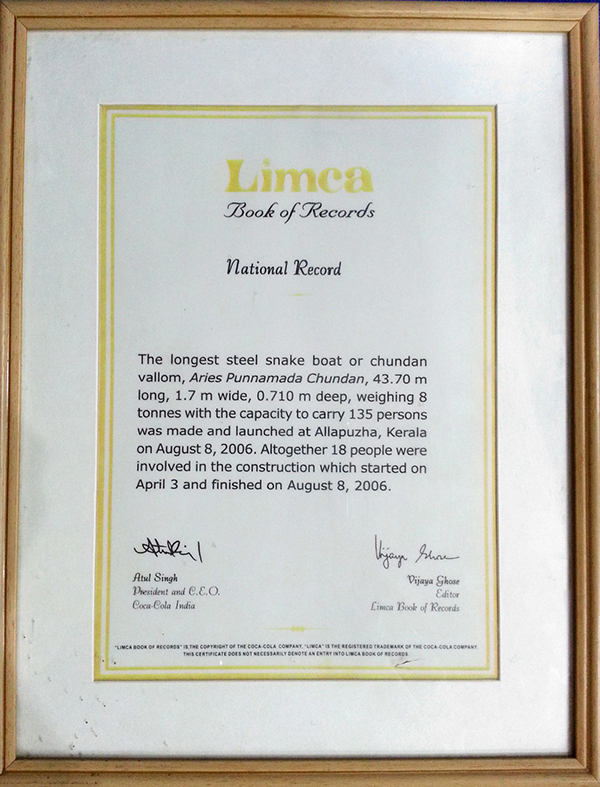 Aries Chundan has already found place in the Limca Book of Records as the longest snake boat made of steel. This innovative steel snake boat has a scientific design, based on the latest scientific methods in Naval Architecture. Its shape and stability have been designed using the world famous 'AUTOSHIP' software.